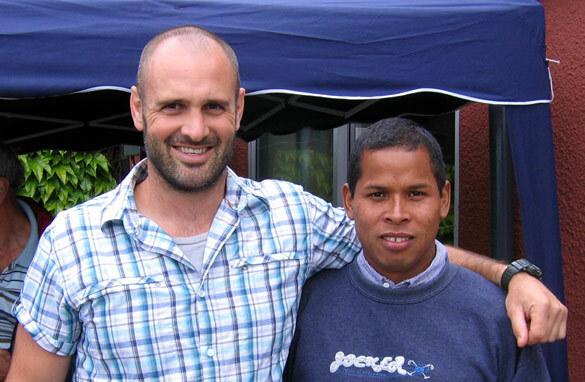 English explorer Ed Stafford, together with his Peruvian walking partner Cho Rivera, was the first man to walk the entire length of the Amazon River. The former British Army officer took 860 days to complete the journey, foraging for food, walking through piranha infested waters and dealing with jaguars and hostile tribes people. He and Cho not only survived, but highlighted the destruction of the Amazon through deforestation. Is there something you would like to ask Ed and Cho about their journey? Congratulations on your trip. I've got a few questions. What is the one thing that everyone assumes about the Amazon that isn't true? What is one easy, everyday thing that people can do to protect the Amazon? –	How will you Improve the Amazon River? –	How intimate were the hostile tribes ladies with you? –	How can we connect the hostile tribes people with CNN Connect the world? I am awaiting Ed Stafford and Cho Rivera replies. Nativity country: Suriname, which is a part of the Sipaliwini – Amazon Forrest!